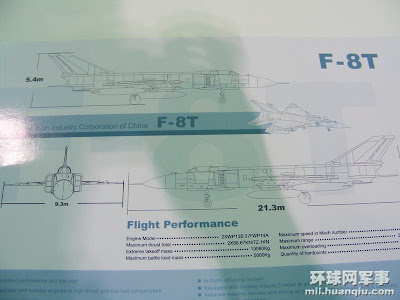 The new F-8T fighter was on display for the first time during the 13th annual Beijing International Air Show. 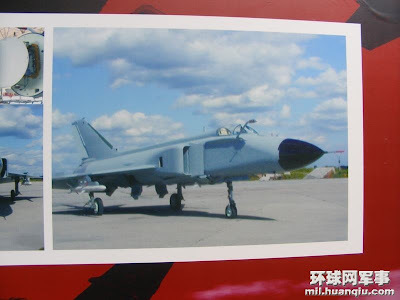 This latest J-8 export model was first revealed in an AVIC poster during last year’s Zhuhai air show. 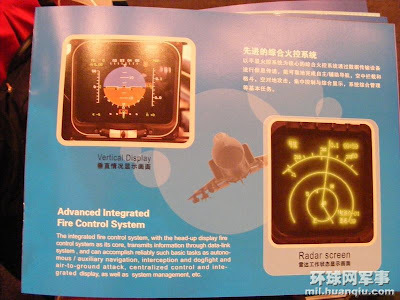 Judging from the specs released, it is sporting a JL-10A X-band airborne pulse Doppler radar and a reconnaissance/EW pod under the forward fuselage, the same radar and pod equipped on later models of the J-8F and T currently in service with the PLAAF. There is nothing special about this bird except its price as most of its components have been in service for over a decade. If the previous Sino-Russian joint venture of the F-8IIM failed to land any customers, there are doubts this latest attempt will succeed. Coincidentally, a number of Shangyang Aircraft Company’s former employees were critical of the previous J-8 projects in the internet, noting their lack of international marketing experience as a source of embarrassment. To sum up: they are selling a dated design, using off-the-shelf components for a cheap price. Save money. Live better. India would be interested to buy a few of them. Any plans of selling? This would be a definite stop gap method for them,even though not a potent platform. 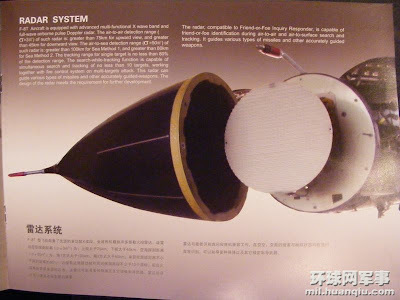 Will the DF-41 be revealed during the parade? Latest Round of Force Cut. 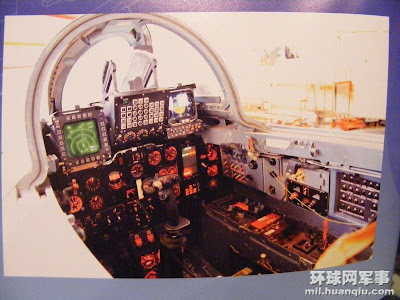 Egyptian Air Force's Mig-23 in China.